We build the tech community by creating meaningful connections through live, face to face networking events, purposeful emails, and this entertaining podcast. How to grow your team's tech skills without breaking the bank. Few people realize that a 140 year old business has a software development lab in Greenville, SC. Although they have a couple of hundred tech people all over the world, they’ve got fifty or so in Greenville, SC. 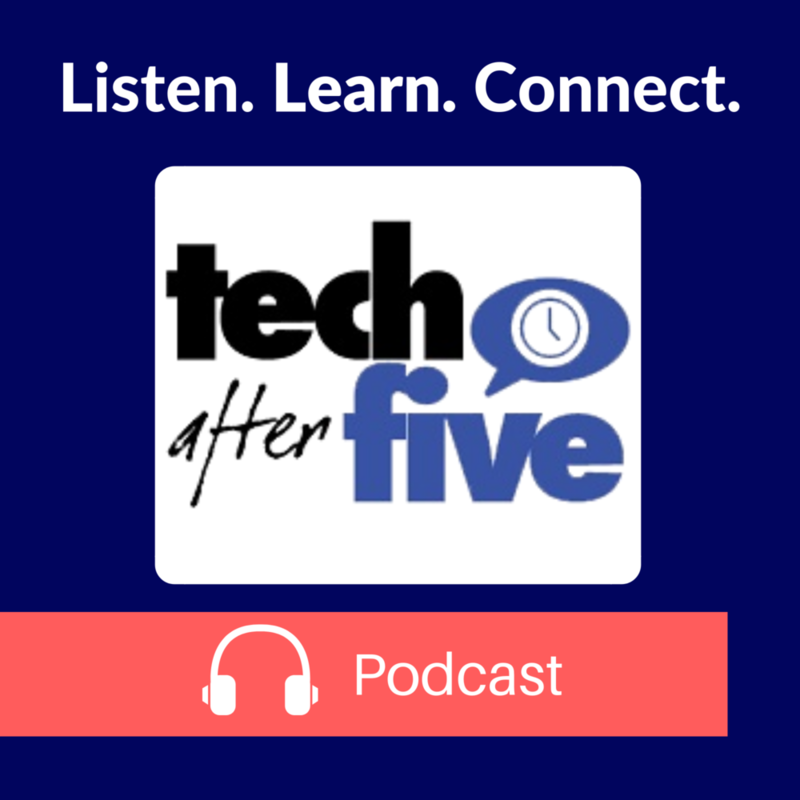 In this episode of the Tech After Five podcast, we talk to Joel Davis of Follett School Solutions about how it came to be that there has been a group of Follett developers in Greenville for over 14 years. He also shares with us the beginnings of the DIY Conference, a conference organized by Follett employees to help them build skills and then pass them along to their far flung peers. Joel tells us how one of those presentations changed company culture. The internal success of the conference has led them to expand it, in part, to invite outsiders to join them as they talk about software development in their company. So, listen to the podcast, and be sure to sign up for the DIY Conference on May 1. The public session is from 1pm to 5pm with a break and then with additional evening sessions. It’s free and open to software development professionals that would like to meet some peers and learn about the day to day operations of real live developers. Joel Davis of Follett Software Solutions. Also an organizer of their DIY Conference. Phil Yanov is the Founder and Lead Community Organizer of Tech After Five. Tech After Five offers live, face to face networking events for I. T. professionals. Whether you are looking for tech talent or you are talent looking for the next step in your career, we offer a path towards connection. Sign up for event announcements, networking classes and tips an our website https://techafterfive.com. Follow us on Facebook, Instagram or Twitter. @TechAfterFive. Building Tribe through CoWork, Conversation, and Conference. One of my favorite CoWorking spaces to visit is Atlas Local. There is a really special sense of community in this location. It's the people, of course. That doesn't happen by accident. Atlas Local has both endured and grown and they continue to host a space that is beautiful, inspirational, and supportive. One of the features of this space are regular Zero Day meetings. You might think we're talking about cyber security gotchas, but you'd be exactly wrong. The founders of Atlas Local stole the concept of Zero Days from their hiking friends. Listen as Chris Merritt explains the philosophy of their coworking space and how that has led them to host yet another Greenville Grok conference. They want to Make Great Internet and want to find other people who share that goal and join in a conversation with them. Check out Chris, Atlas Local and the upcoming Greenville Grok conference! Chris Merritt is a Project Manager at Faculty, Managing Partner at Atlas Local and one of the organizers of Greenville Grok. Scott Pfeiffer helps entrepreneurs succeed and partnerships thrive @ Mind Your Own Business. The Tech After Five Podcast is available on iTunes, Stitcher, Google Podcasts, well everywhere. How do you like to get your podcasts? We’re available where you like to listen. Google Podcasts — Ask your Google Home Speaker to play the Tech After Five Podcast! We build the tech community by creating meaningful connections through live, face to face networking events, purposeful emails, and our entertaining podcast. Listen where you like! Want to improve your networking? Go to better events. We wish we were kidding about that, but it's true that most networking events are so poorly designed that they yield no results at all. We do things differently at Tech After Five. For years we have given you a list of people who have registered for the event. Well, we're working on a new format and this episode talks about how to plan and execute your attendance at Tech After Five by using the list.